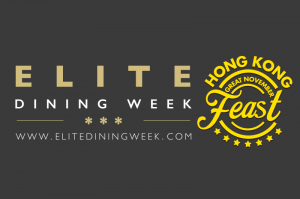 Hong Kong’s finest restaurants will come together to take part in the inaugural Elite Dining Week which runs from 3 to 13 November 2016 in Hong Kong. 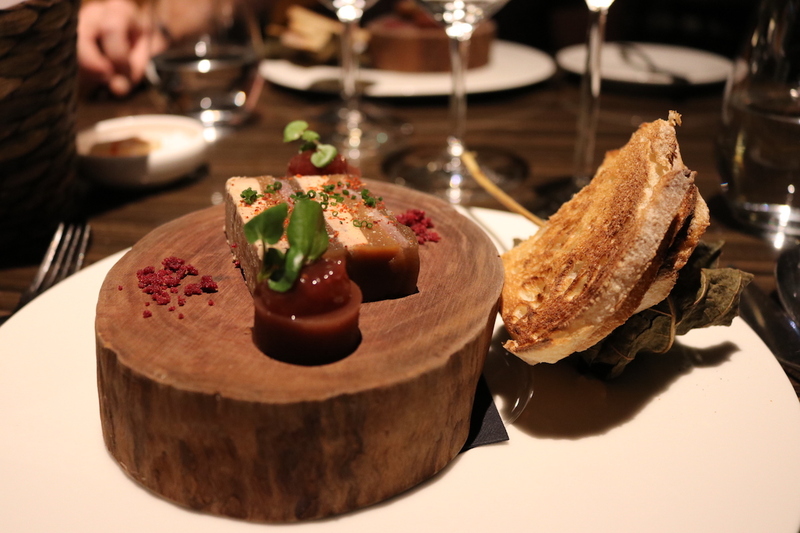 One of the participants – Seasons by Olivier E. – hosted us to preview their special 6-courses tasting menu. The Elite Dining Week is a culinary event organized by DiningCity – an online dining platform in Greater China – in partnership with the Hong Kong Tourism Board, taking place from 3rd to 13th November 2016 and offering diners the opportunity to enjoy specially created tasting menus featuring signature dishes and finest culinary specialties. Participating establishments include Michelin-starred or recommended restaurants as well as award-winning ones; around 20 restaurants have been carefully selected to participate in this unique event which is one of the featured programs in Hong Kong Great November Feast organized by the HKTB. Some of those places are Tenku Ryu Gin, Yan Toh Heen, Yè Shanghai, Duddell’s, The Boss, MIC Kitchen, ON Dining Kitchen & Lounge, The Popsy Room, Upper Modern Bistro, Seasons by Olivier E., Otto Restaurant, The Drawing Room, Wagyu Takumi, and Ta Vie. Really a stunning list for every taste! Our experience at Seasons by Olivier E.
Seasons by Olivier E. is a fine-dining restaurant in Hong Kong Causeway Bay district – recently One-Michelin Star awarded – where Chef Olivier Elzer pairs a classical understanding of French cuisine with a modern Asian sensibility; as part of the Elite Dining Week, this place proposes to its guests a very special 6-courses menu combining finest ingredients we had a chance to preview and taste, as you can see below. 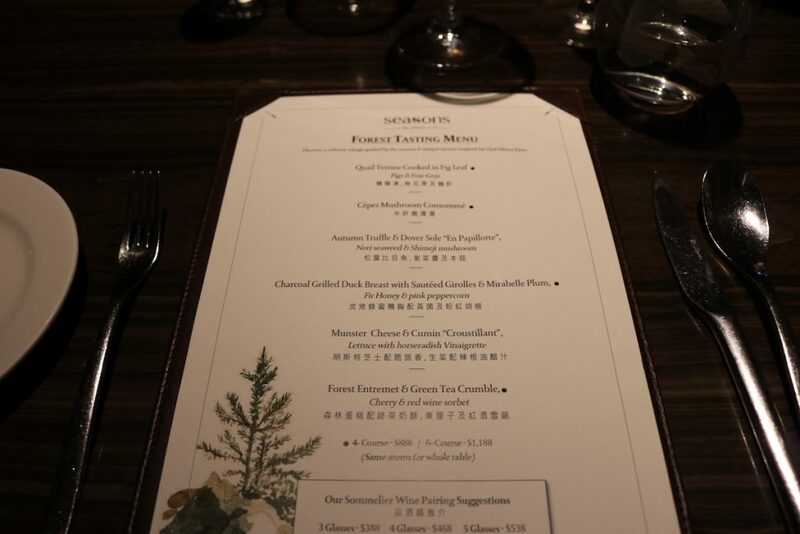 Purpose of the menu is to cook dishes in a forestry context, both for the taste and the visual aspect. Let’s make it clear: this is one of the best French restaurant I ever enjoyed outside France. 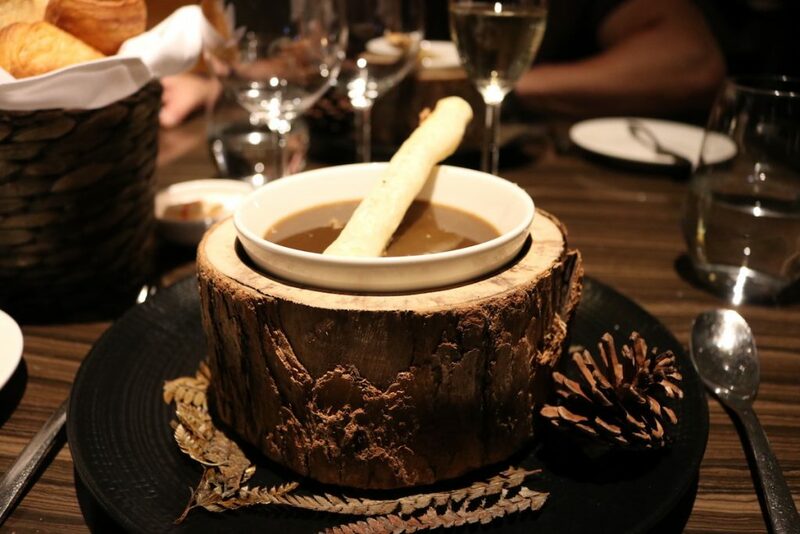 Quality of ingredients, preparation and flavors are faultless, as well as the overall aesthetic of the plate which corresponds perfectly to the forest theme. Brilliant! 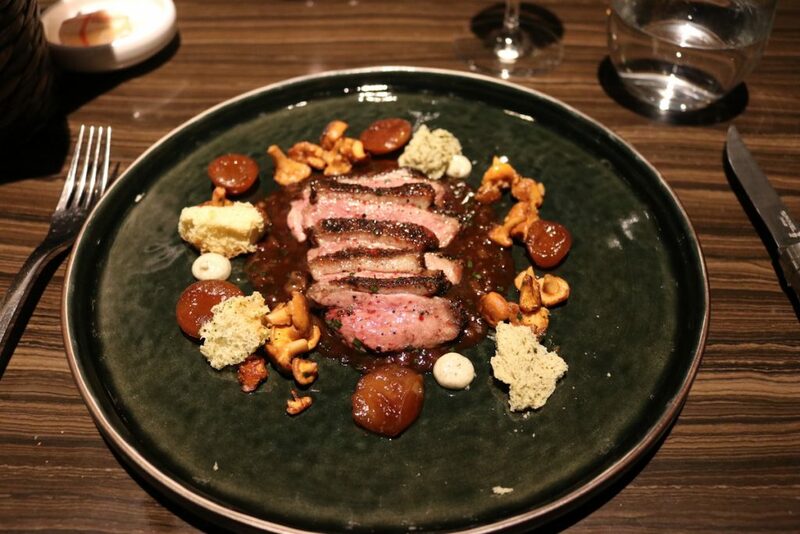 I especially recommend the cèpes consommé as well as the charcoal grilled duck breast with its delicious bunch of girolles… Mmmm! Part of the culinary experience is also the design of the restaurant itself and its atmosphere; we enjoyed the contemporary interior design and the open-kitchen, a real pleasure for the eyes. Dress code is definitely casual-chic for dinner with a quite high-attitude clientele exactly as most of (if not all) Michelin starred restaurant are in Hong Kong. Visited on November 1st, 2016 – Sponsorized media visit, but this article totally reflects 100% of my opinion and thoughts.